Clue for War Escape Level 9 Walkthrough how to escape each room by solving puzzle and find key or code numbers for your way out then move to next stage ! In War Escape game you’ll find yourself as a war prisoner in a filthy bunker somewhere in continental Europe. As you probably foresee your mission is to escape this hostile place before it’s too late! This entry was posted in war escape on November 1, 2014 by 100doorssolution. Cheats for War Escape Level 8 Walkthrough how to escape each room by solving puzzle and find key or code numbers for your way out then move to next stage ! Solutions for War Escape Level 7 Walkthrough how to escape each room by solving puzzle and find key or code numbers for your way out then move to next stage ! 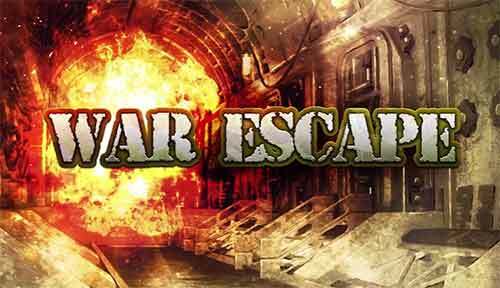 Answers for War Escape Level 6 Walkthrough how to escape each room by solving puzzle and find key or code numbers for your way out then move to next stage ! Cheat for War Escape Level 5 Walkthrough how to escape each room by solving puzzle and find key or code numbers for your way out then move to next stage ! Solution for War Escape Level 4 Walkthrough how to escape each room by solving puzzle and find key or code numbers for your way out then move to next stage ! Help for War Escape Level 3 Walkthrough how to escape each room by solving puzzle and find key or code numbers for your way out then move to next stage ! Answer for War Escape Level 2 Walkthrough how to escape each room by solving puzzle and find key or code numbers for your way out then move to next stage ! 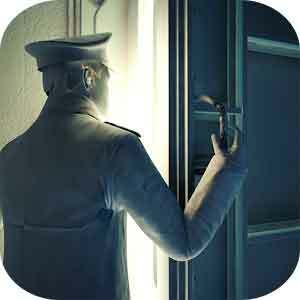 Guide for War Escape Walkthrough how to escape each room by solving puzzle and find key or code numbers for your way out then move to next stage ! Hey ! Don’t worry i’ an ally ! my name is john and i’m a double agent ! I don’t have a key but i can guide you. Listen close. Check the bed i’ve left something for you there. move the matress, i’ve hid it there. great you’ve found the slipknot. now use the slipknot to pick up tht cane near the cell. move the stone. i’m sure something is hidden behind it. good, there’s a lock there.. remember the code ? use it ! You’re on your own now soldier. Good luck ! go out and explore ! i’m confident you’ll find amazing things ! This entry was posted in war escape and tagged war escape cheats on October 31, 2014 by 100doorssolution.